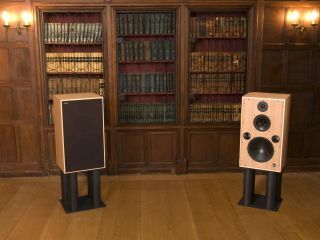 Much admired British loudspeaker manufacturer Harbeth, will be unveiling its latest high-end monitor loudspeaker at 2008's Consumer Electronics Show (CES) in Las Vegas, next month. The glamour of Las Vegas seems fitting for the new £8,000 M40.1, which has been extensively developed at the BBC research department's anechoic chamber at Kingswood Warren in Surrey. Harbeth MD Alan Shaw commented, "The BBC's facility is one of the best in the world, and gives us the confidence that the updated M40 will satisfy the most discerning customer at home or in the studio." The three-way M40.1 will replace its predecessor - the M40 - which was originally designed as a broadcast monitor for studio use. It will be more suited to both home and professional environments, thanks to its Harbeth-designed bass driver, which Alan describes as, "perfect for more 'lively' environments, such as typical living rooms". The new bass driver is the result of a twelve-month research programme. Harbeth's USA distributor, Walter Swanbon, said of the Vegas launch: "The Monitor 40 has become a legend in the States, I just hope Alan will keep pace with the (M40.1) orders." Production of the M40.1 is starting in the New Year.